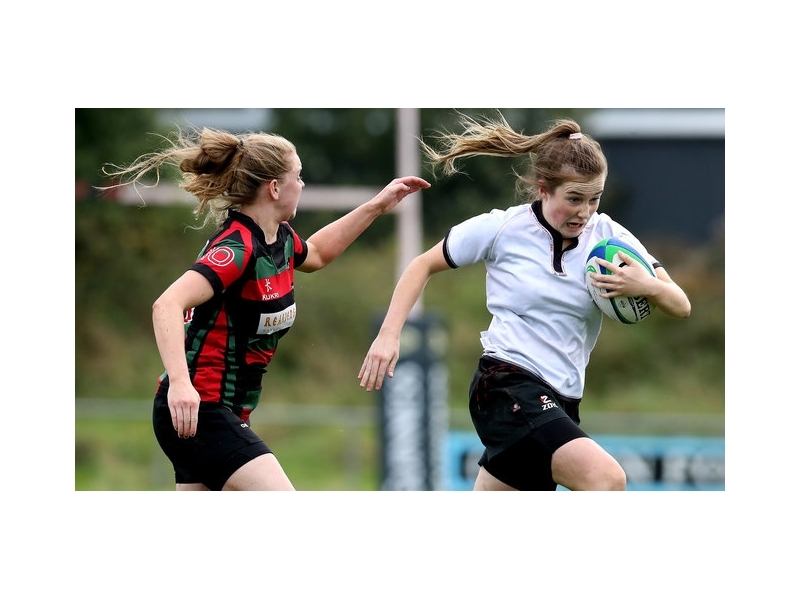 On Sunday 1st of October, Tullamore Ladies took on the might of Highfield RFC. After a crushing defeat to Railway Union the previous weekend Tullamore were on a mission to prove themselves worthy of AIL status. Highfield set the status quo for the game on kick-off with a thunderous tackle from Irish international Leah Lyons on Tullamore flanker, Nichola Fryday. Tullamore are not a team to shy away from physicality and with that the game roared into action. It was a ferocious encounter with both sides looking for their first win of this year's All Ireland League. It was Highfield who would break the deadlock on 10 minutes as they went 5-0 up after building the phases to dot down in the corner. This was to be the only score of the first half as both teams battled for posession of the ball. Tullamore enjoyed most of the possession, particularly in the first half, but lacked the finishing touch to make it count on the score board. Highfield started the second half on the front foot and again picked off another try, this time with quick ball unleashing their winger to cross the whitewash. With two Highfield conversions missed however, Tullamore were still in it. The home side then kicked it up a gear, with #8 Emer Phelan leading from the front. Emer broke the Highfield line countless times driving onwards, in seek of the try line. Highfield were put under massive pressure from the advancing Tullamore defence forcing Leah Lyons to kick from her own 22’. Clare Currams attacked the Highfield wall of defence after the misplaced kick and stepped inside to find some much needed space. Tullamore’s quick offloading released speedy winger Clare Cantwell and the home side found themselves back in it at 7-10 on 50 minutes. Resident full-back Kim Cobbe stepped up to kick the conversion and on the restart Tullamore again surged towards the Highfield try-line. Momentum was with the Tulliers and Emer Phelan again carried at least 40 yards, managing to offload under pressure to second-centre, Shannon Toughey. 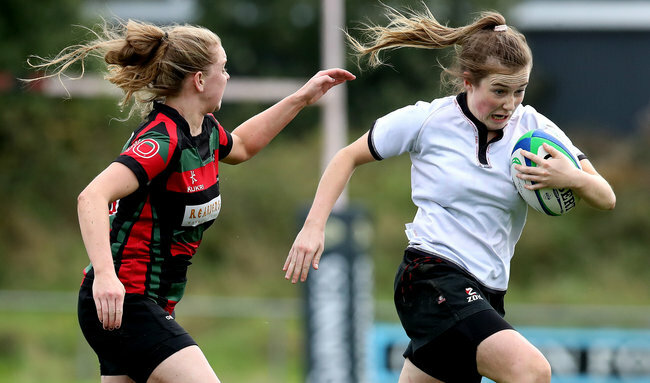 Quick hands and superb support play from her centre partner, Pauline Keating saw Tullamore cross the whitewash for their second try. This proved a huge boost for the players and supports alike as the Tullamore XV saw themselves ahead for the first time this season. It was not to be however as Highfield punished Tullamore for resting on their laurels after securing the lead. A well worked maul allowed Lyons to barrel over on 59 minutes for Highfield’s 3rd try of the game, despite some superb tackling from Nichola Fryday, Moya Griffin and Kim Cobbe on the try line. With the scoreline on 12-15 with 20 minutes to go it was a game that was there for the taking. Unfortunately for Tullamore it was Highfield who stepped up to steal the victory on the 76th minute. Irish international Heather O’ Brien caught the tiring Tullamore defence on the hop, sneaking in on the blind side off a scrum on the 5’. With the scoreline at 12-20 Tullamore, valiantly restarted and captain Ciara Farrell along with flanker Roisin Feighery combined brilliantly to win a turnover. Quick hands from scrum-half Brigid Hyland unleashed the ever threatening Emer Phelan on another darting break. Phelan’s pace caught the Highfield defence napping and forced an error earning a Tullamore a penalty in the dying seconds of the match. With the win out of reach, Kim Cobbe opted for the posts. With the final kick of the game, Kim converted to the crowds relief, leaving the final score 15-20, securing a losing bonus point for Tullamore. The girls, their coaches and supporters were very disappointed on the final whistle as the game was certainly there for the taking. That being said, it took guts and determination to come out fighting after last week's tough defeat. This team has huge potential and this was demonstrated on Sunday with flashes of brilliance throughout the game. The key to success will be in ensuring consistency throughout the game and being more clinical in converting possession to scores. Tullamore will look to build on this performance as they take on Old Belvedere away in two weeks time.